With the Olympics twenty months or so away, there hasn’t been much in the news lately about women finally being given the nod to fight in three weight classes in the 2012 London Olympic Games. 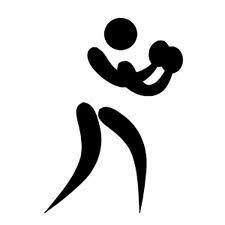 What I wonder is whether the hard work and sweat of the young amateur boxers who have begun their preparations for the games will result in Women’s Boxing being taken more seriously in the run-up to the games and beyond. Let’s face it, at this point, we’ll take an ESPN “Ocho” just for the chance to see the sport at all on television. It’s also not as if there’s a hug pot of dough to support American male boxers, so the question is how are the American women with Olympic dreams going to support themselves if there is so little out there to begin with? Women have been in the amateurs for years, so at least there is institutional knowledge to train women to score points under the international amateur system. That doesn’t mean that these women will be given the kind of material assistance, “team” training camp facilities, coaching know-how and enthusiasm necessary to truly boost their chances at winning gold. So, what to do? For one thing, it’ll be up to all of us to push USA Boxing to give equitable treatment to the Olympic dreams of these young hopefuls and to push the press and sports television to recognize that Women’s Boxing is here to stay and needs to be recognized.